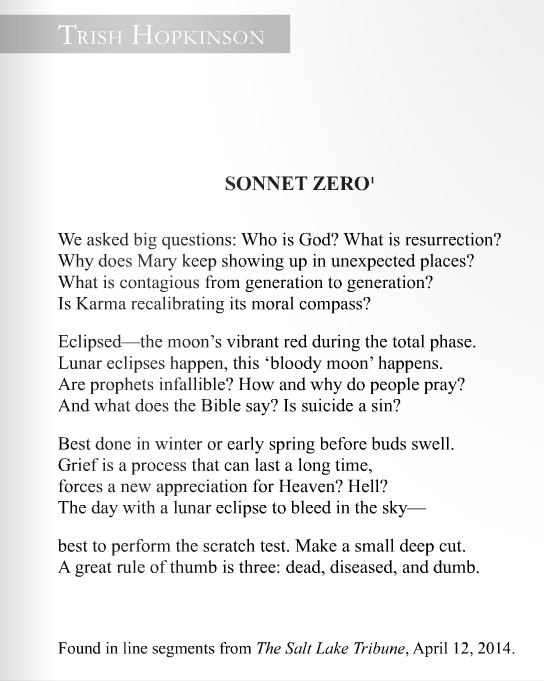 I am so excited to have my found poem “Sonnet Zero” published the beautiful print and online issues of Noctua Review (I mean, look at that cover art!). It’s always incredible to have a found poem published by a literary journal who appreciates the process of creating found poetry. Issue IX is available online here. My poem is on pg. 45 in the online issue (or click the image below to zoom in). The best news is, not only is it free to submit to Noctua Review, they are currently running a FREE contest! And thank you again and again for your inspiration and information each morning. I look forward to receiving your blog. I can’t fathom managing found poetry into a sonnet. Kudos. Kudos covered in the sweetest of chocolate. With a caramel cream center. It was not the easiest challenge, that’s for sure, but it was definitely rewarding. Thanks for reading and commenting!